Gujrat is a prominent city of Pakistan and is acknowledged for its local industry, which feeds many major industries of Pakistan. From processed rice to electrical fans and from the best quality shoes to pottery, the items produced here serve the people all over the country. The temperature and soil conditions of Gujrat are perfect for the production of rice and sugar-cane. Although pottery and ceramic goods are home to Gujrat but pedestal and ceiling fans remain the most popular local products. Terracotta Vases of Gujrat are famous all over Pakistan and feed the aesthetic needs of people in other prominent cities. Some other popular handicrafts of Gujrat include woollen shawls, embroidered clothes, hukkas, flowerpots, and cotton mates. Because of being away from the central Punjab, Gujrat was ignored on infrastructural and developmental front. However, a lot of progress was witnessed during the mid of 2000s and many roads, colleges, health centres and other institutes of public service were constructed to benefit the citizen of Gujrat. All of these efforts increased the value of real estate of Gujrat in particular and that of Pakistan Real Estate in general. Education sector remained the biggest beneficiary of development done in the mid and late 2000s. Gurjat is one of those cities of Pakistan, which fully reaped the fruits of Punjab Government’s “Parha Likha Punjab” scheme. As of Jan 2012, there are many universities and colleges in Gujrat including Hafiz Hayat Campus, Sharif Medical College and Fatima Jinnah College. The number of Govt. colleges, higher secondary schools, and primary education systems is also increasing along with better quality of education. Gujrat has been home to many political, social and showbiz personalities but the prominent ones remained the war heroes of 1965 and 1971, who won Nishan-e-Haider and earned pride for the people as well as the city of Gujrat. Although Gujrat is mostly known for clay pots and electrical fans but its furniture industry is also very wide and extensive and caters to the need of people residing in different cities of Pakistan. Various small and large-scale cottage industries operate throughout the District of Gujrat and provide employment to hundreds of thousand people residing here. Some of the known items produced in these cottage industries are electrical motors, electrical goods, and small tools used in electrical industries as well as rice cleaning mills. Almost 90% economy of Gujrat is regulated and supported through this cottage industry. Various housing societies and residential schemes are adding value to the properties in Gujrat and meeting the modern residential requirements of the people. 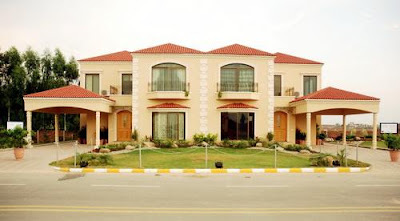 Some of these housing societies, including Euro City Housing Society and River Garden, are attracting much attention from the investors of Pakistan real estate and increasing the real estate value of the city. William King is the director of a Pakistani Real Estate Company and mainly deals in Karachi, Islamabad and Lahore properties. Being an entrepreneur and passionate blogger he likes to share his knowledge and expertise with the industry people by writing for various related blogs. Gujrat has lots of potential to boom economically and commercially. It would be wise to invest here while the prices of real estate are still relatively low. Gujrat is industrial hub for Pakistan. If Govt support Gujrat they can produce lot of revenue for Pakistan. its really wonderful industry in gunjrat. i am also from Industrial city Faisalabad. Gujrat is a Main power of Punjab actually. real estate price i think so 4 lac marla in Gujrat. My friend living in gujrat. A feel to be proud after read your article. Actually its a need of human and Developing is must for us successful in life.